Golly I know Bright Side posts have been somewhat sporadic this summer; forgive me, I’ve been in Europe for 2 months travelling about and visiting family and friends. And here in rural Dorset? Well, lets just say one I of the things I have added to my gratitude list is a reliable internet connection back home:-) I just wanted you to know that in 2 weeks the children and I will be back in the States which means Bright Side will be back in business from there on out. Thank you for your patience, your understanding, and thanks to each and every one of you who’ve recently subscribed to Bright Side and/or signed up to our community. I have a goody-bag of fresh ideas to improve Bright Side (hopefully:-) which I’ll be implementing on my return home so your support shall not go unrewarded. Whilst we’re together here I thought I’d share my thoughts on the recent death of our British national treasure, Cilla Black. For my American and international friends, Cilla was a singer and later a TV host. ‘Blind Date’ was what I personally knew her best for, the Saturday night prime show gracing TV for the entirety of my childhood years. Whether we knew of Cilla or not, I think there is a lot her life can teach us. She was not without personal struggle and tragedy. In 1975 she lost her longed-for daughter after only 2 hours in this world with her. And her beloved husband, Bobby, died in 1999 which her heart, reputedly, never recovered from. But through all the pain, she carried on being Cilla, a glass full of happiness. She was unapologetically herself; we loved her for her unique catchphrases (lora-lora laughs) and the endearing way she pronounced words like ‘there’ (thurr) and ‘hair’ (hurr). She was natural and unrestrained and unscripted. 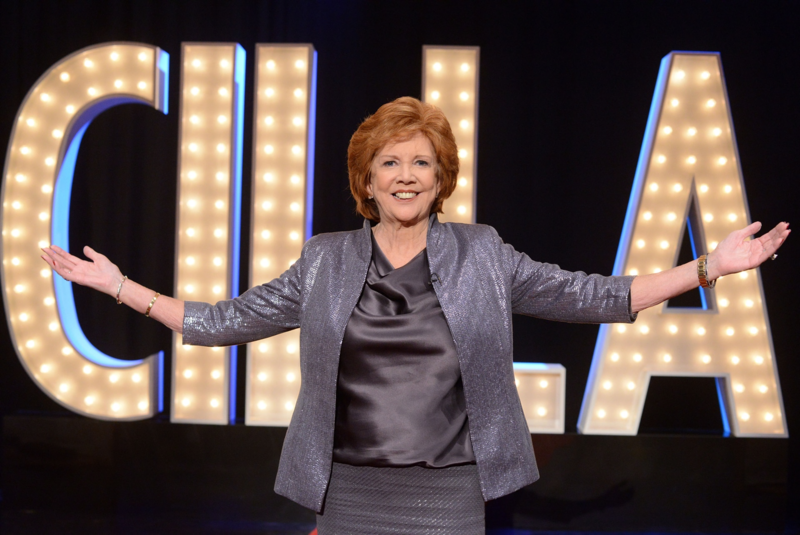 Cilla taught us that happiness is about not taking yourself too seriously, to laugh with all your soul, to embrace who you are, honor where you come from and surround yourself with friends who are dedicated to bringing giggles and joy and entertainment to this world which it is, really, so in need of. The Bright Side is she’s with her husband Bobby now, as she wanted. She’s with her baby girl, Ellen, too. Cilla’s beaming, beauteous teethy smile will certainly be ironed into my memory with great affection, as I’m sure with all those who knew her or of her. Thank you, Cilla, for being such a classic example of what it is to look on the bright side of life, to ride the tides of change so gracefully. Thanks for showing so many millions how to live from a space of heart and passion. See you on the other side of the Atlantic very soon, my friends. This entry was posted in Other Lovely Things, Pretty Fabulous People, Relationships, Spirituality, Uncategorized.